Easy automation for busy people. 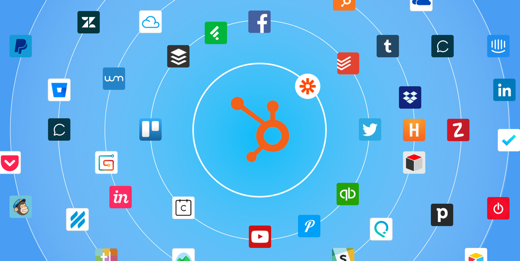 Zapier moves info between HubSpot and your apps automatically, so you can focus on your most important work. Link your apps with a few clicks, so they can share data -- no code required, and time-saving workflows called Zaps are set up in minutes. This integration requires both Zapier and HubSpot. Learn more. By setting up automated workflows with Zapier, you can cut out manual effort and tedious copy-pasting, and apply that time to your customers and for more important work. Zapier workflows go beyond copying information. You can look up data across multiple tools before feeding it all into your central repository. Work can be scheduled, delayed, summarized, and parsed. Your info can be transformed, formatted, sliced and diced as needed. With the ability to have any event in your system signal a sequence of updates and actions across all your tools, you'll be able to set up processes you didn't even think possible before. If you're generating contacts in another app, automatically send them to HubSpot so your email list is updated, pristine, and accurate in real time. Conversely, you can kick off workflows in your other tools when contacts, deals, or companies are updated in HubSpot.